UPDATE: This location powered up June 3, 2016. Click for details. A more extensive site-survey can be found in our earlier post about the site near Peach Street. Chris Scott, Vice President of Scott Enterprises (which owns the site and associated businesses), provided these pictures of construction crews starting the trenches that will tie the Supercharger equipment to the grid. 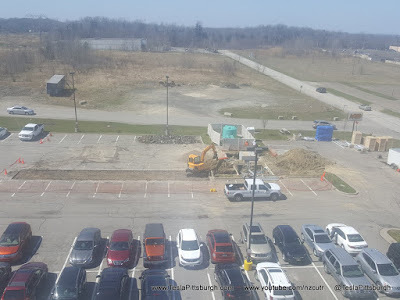 It remains to be seen what Tesla's exact layout will be, but if you compare the new pictures to those from the earlier post, it does suggest that some of the spaces could be for pulling through with a trailer. 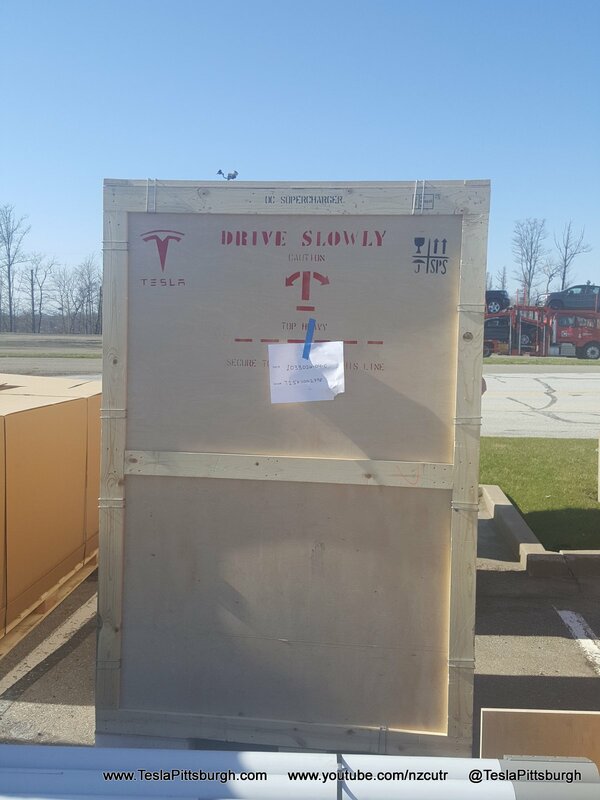 Scott says that crews are "moving fast," and if their pace matches other installations... well, there's going to be a lot more Teslas roaming the streets of Erie very soon! Erie is actually the second KNOWN Supercharger under construction in the state of Pennsylvania. The long-awaited Harrisburg Supercharger is a few weeks farther along. Once completed, these two locations will leave only two other "coming soon" Superchargers unknown in Pennsylvania, the ones on the I-80 corridor. 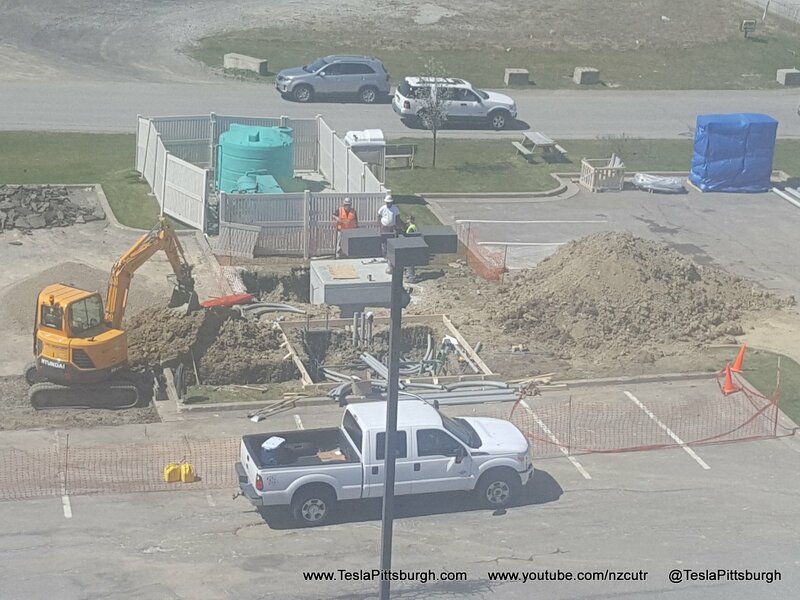 Presumably at least one of the building crews will head to at least one of those locations as "Supercharger Summer" comes to Pennsylvania!